Gavin grew up in Waconia, MN and is a recent graduate from South Dakota State University (SDSU) with a degree in Agricultural Systems Technology and a minor in Precision Agriculture. Gavin enjoys spending time with friends and family as well as hunting, fishing, and ranch rodeos. Gavin is no stranger to ETS as he served as the 2017 Precision Ag Intern. 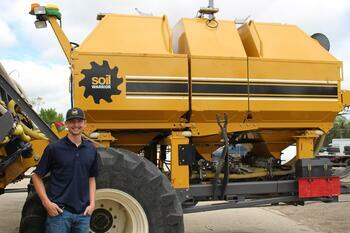 He also brings experiences from the SDSU Precision Ag department as a lab assistant.